Basically Brand New! One Owner. No Accidents. Rear View Backup Camera. BlueTooth. Heated Front Seats. Touch Screen Radio. Aux/MP3/USB Inputs. Alloy Wheels. Fog Lights. Automatic Headlights. Power Door Locks, Mirrors and Windows. Factory/Extended Warranty Available. 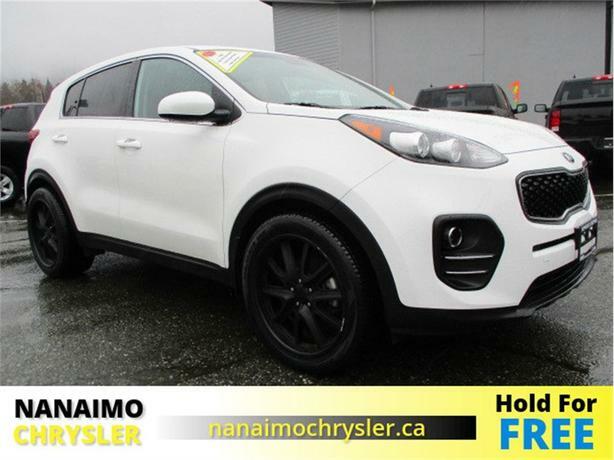 At Nanaimo Chrysler we sell only certified pre-owned vehicles. All vehicles have been through a complete 150 point safety inspection and reconditioned to peak standards. A copy of all reconditioning is available upon request. All vehicles include a 3 month or 5,000KM limited power-train warranty. For ease of mind we also include a 10 day or 1,000KM vehicle exchange privilege. We are a BBB accredited business with a A+ rating. We can help you with full financing, available at the competitive rates, all purchases are subject to a $597 documentation fee. We look forward to seeing you.